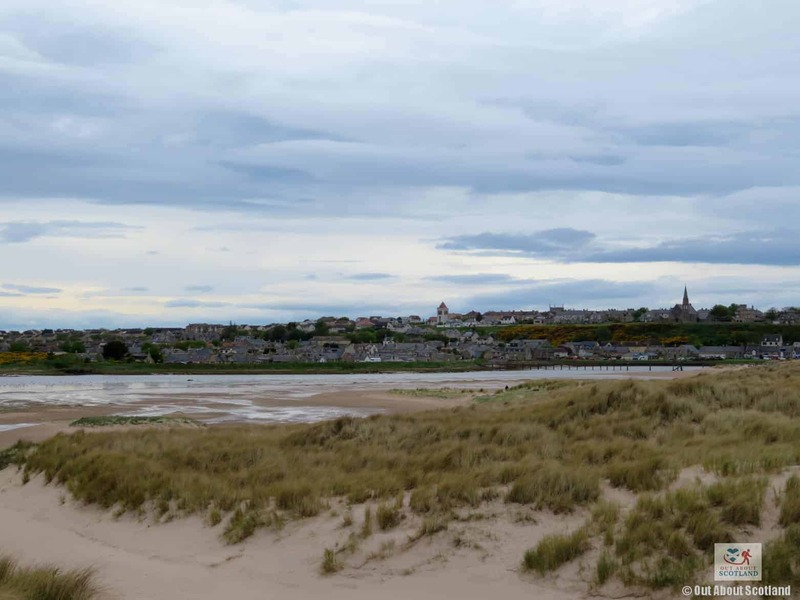 While the village of Lossiemouth is perhaps most famous for the enormous military air-force base which lies on its outskirts, those in the know flock there during the summer months to enjoy the gorgeous stretch of golden beach which runs along the village’s eastern side. 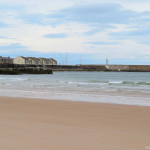 The east beach has become something of a mecca for both wildlife enthusiasts and surfers, with the former enjoying the sights of pods of bottlenose dolphins which can be regularly seen swimming in the sea around the area, and the latter enjoying the powerful waves brought towards the beach by strong northern winds. 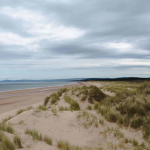 This is a really good place to visit when the warmer months visit Scotland, and because it’s relatively remote it rarely gets too busy. 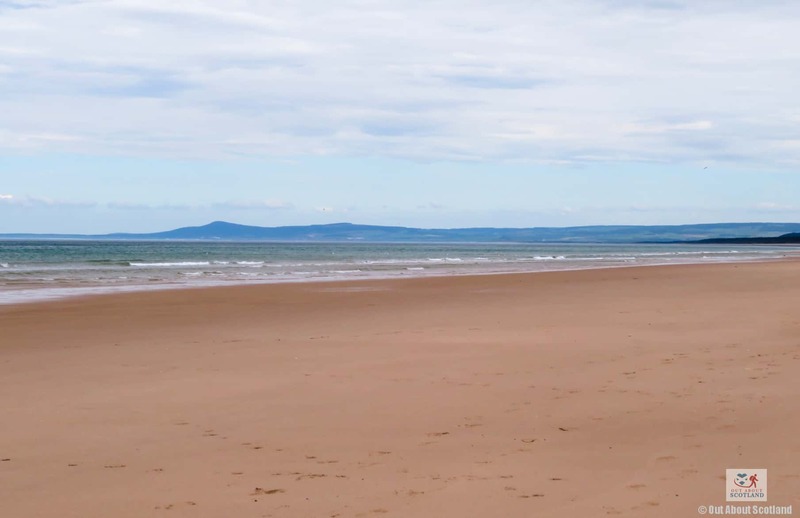 The sand is very soft and clean and the sea along this stretch of coastline is lovely and clear and would be utterly perfect for swimming in if only it was a little warmer. 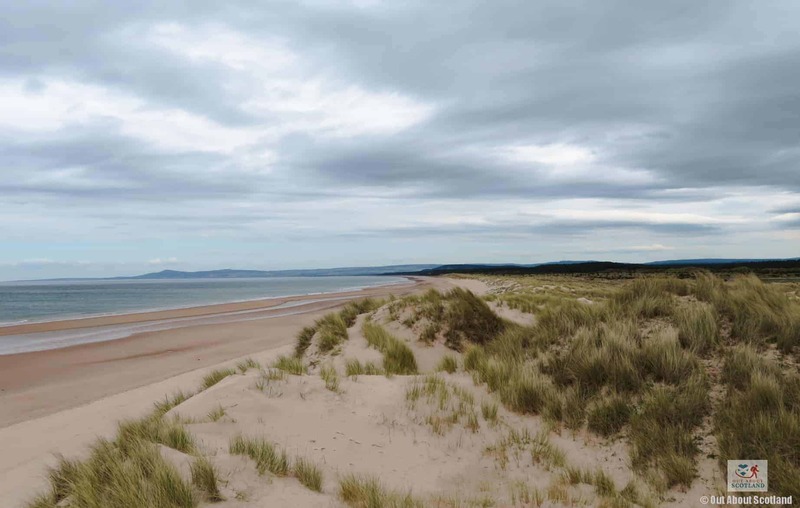 But even so I think this beach is a bit of a hidden gem in Scotland and it’s one that I thoroughly recommend you visit. 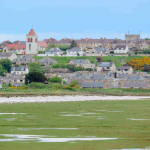 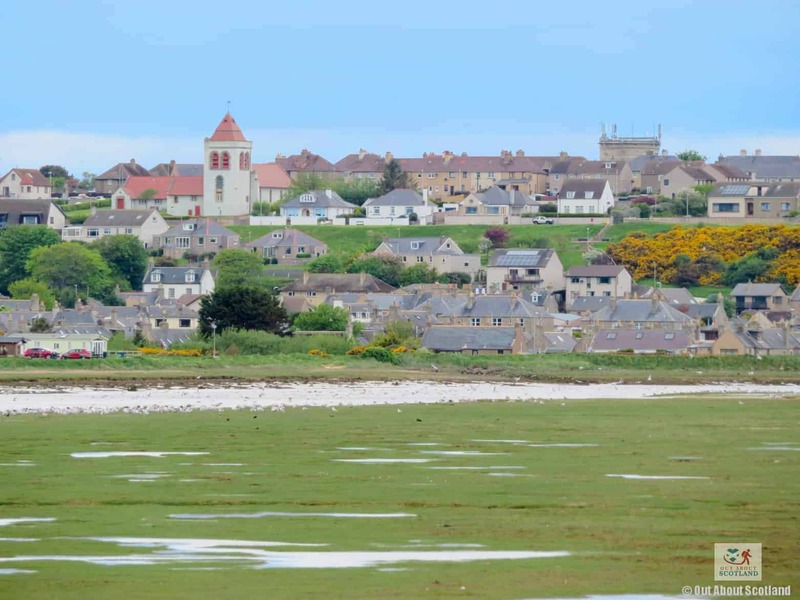 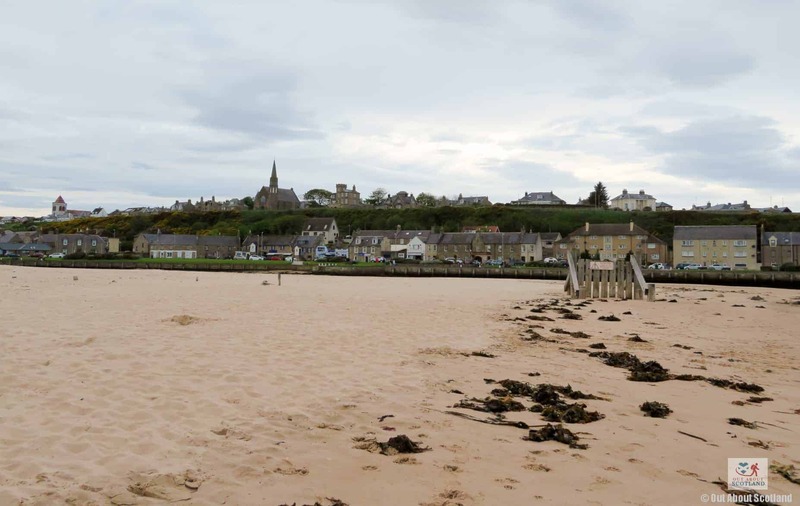 Lossiemouth village itself is a sleepy, quaint little hamlet not far from the busy Morayshire town of Elgin, and it’s close proximity to the glorious east beach and surrounding countryside has given it its popular nickname of ‘the jewel of the Moray Firth’. 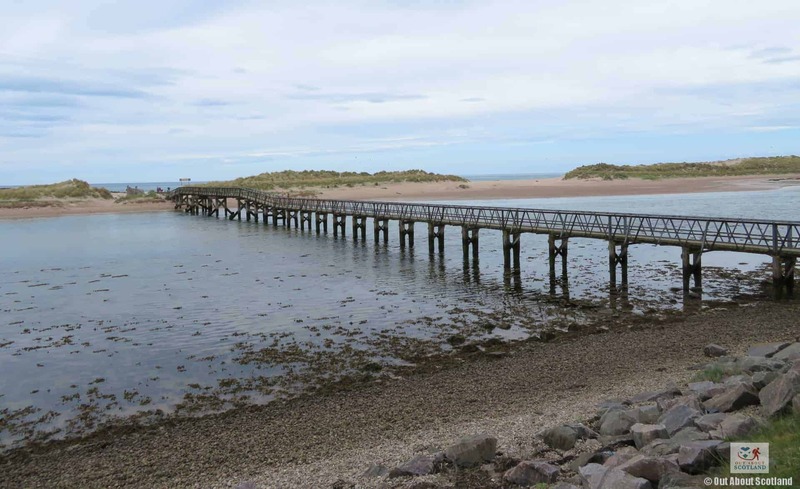 While a visit here might be disturbed by the occasional military jet roaring overhead, if you want to get away from busy city life then a walk along the east beach, the nearby salt flats and the gentle River Lossie are guaranteed to offer the relaxation you’re looking for. 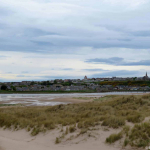 The east beach can be seen from Clifton Road in Lossiemouth which has several cafés and restaurants with pavement seating areas to enjoy. 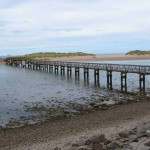 A short walk will then take you to the bridge which crosses the River Lossie before leading out onto the vast expanse of beach and dunes that run for a few miles east to the village of Kingston at the far end of the bay. 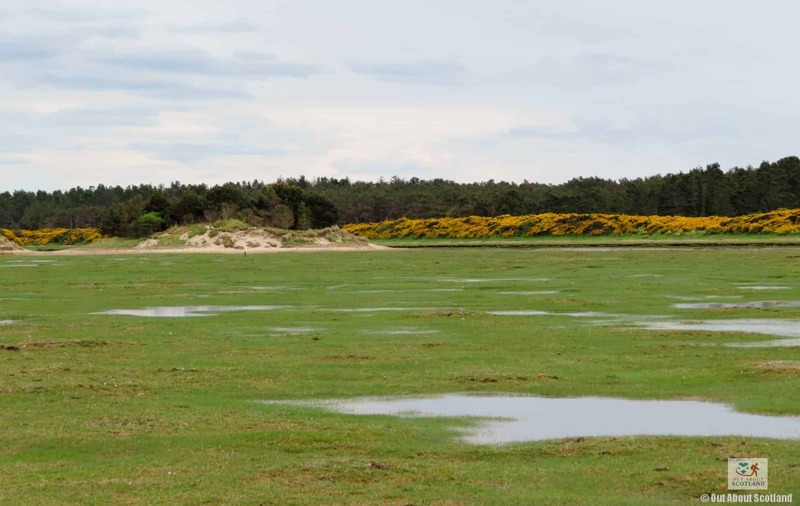 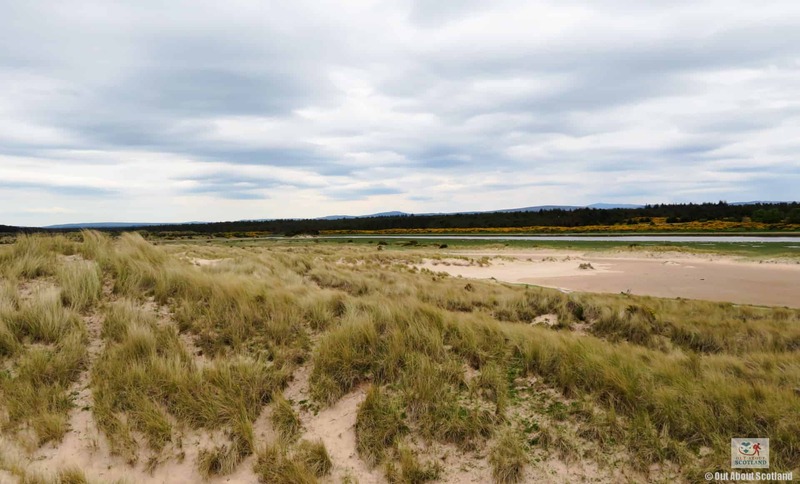 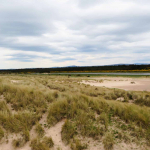 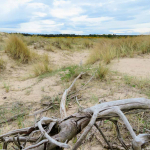 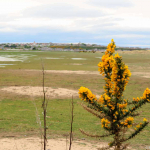 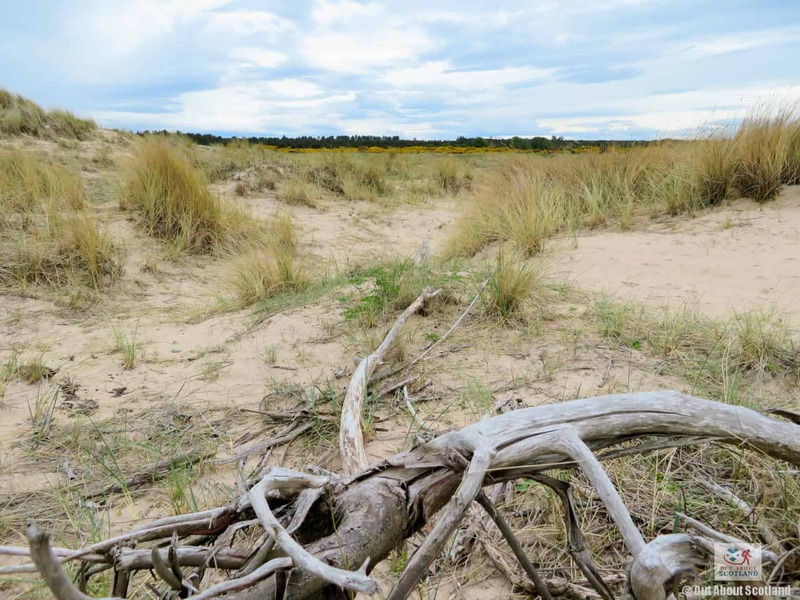 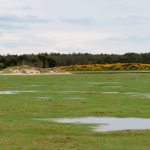 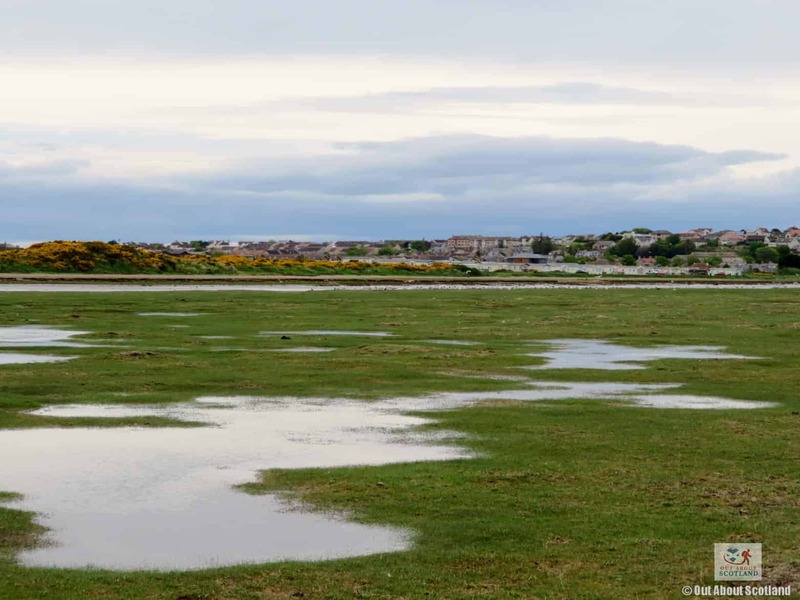 Running parallel to the beach is a wide stretch of sand dunes that are home to lots of wildlife, while an expanse of salt flats borders the River Lossie which also runs alongside the beach before veering off further inland. 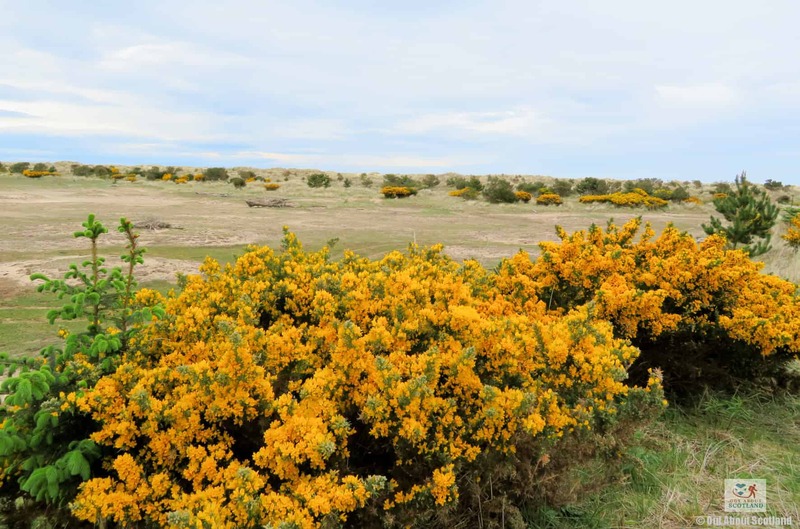 If you want to take a break from the beach then there’s also a sizeable woodland to explore to the south where several paths have been made so that you can explore the area without getting bogged down by thick undergrowth. 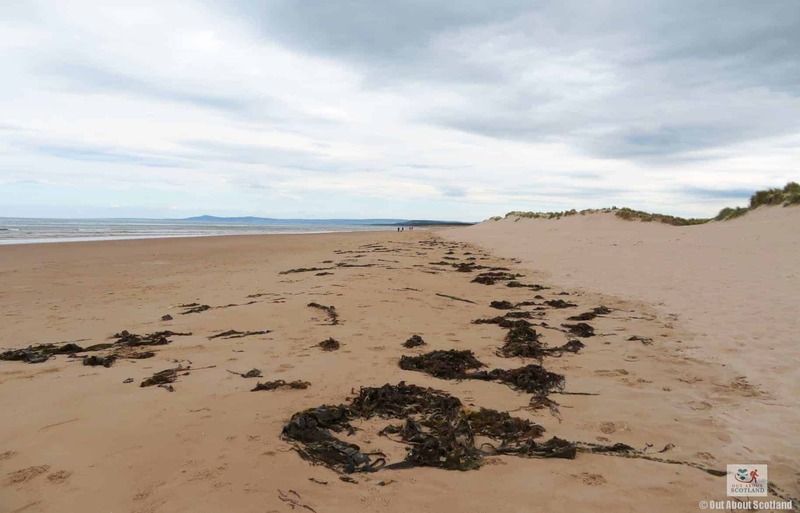 The east beach is a public access site and is open at all times of the year. 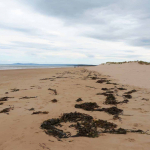 There are no fees to enter the beach although car parking charges may apply. 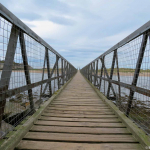 This bridge allows access to the beach from Church Street. 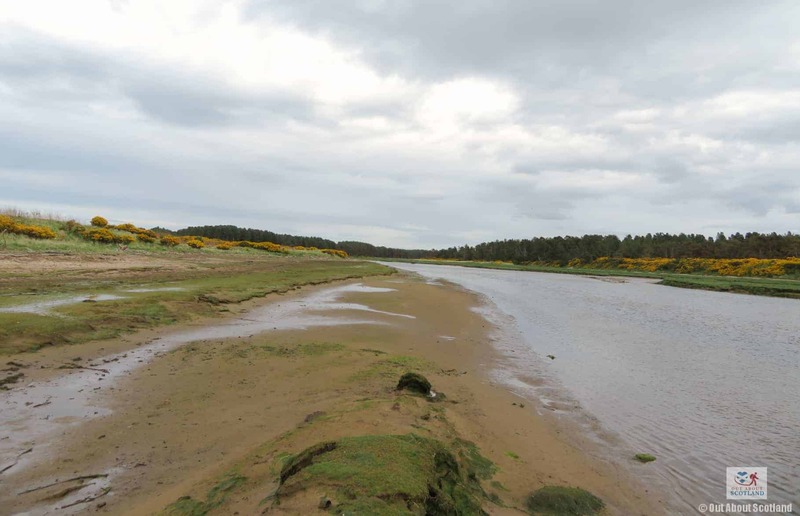 The River Lossie follows the east beach and the salt flats..
Lossiemouth village overlooks the east beach. 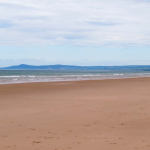 It's a great place to stop for an ice-cream. 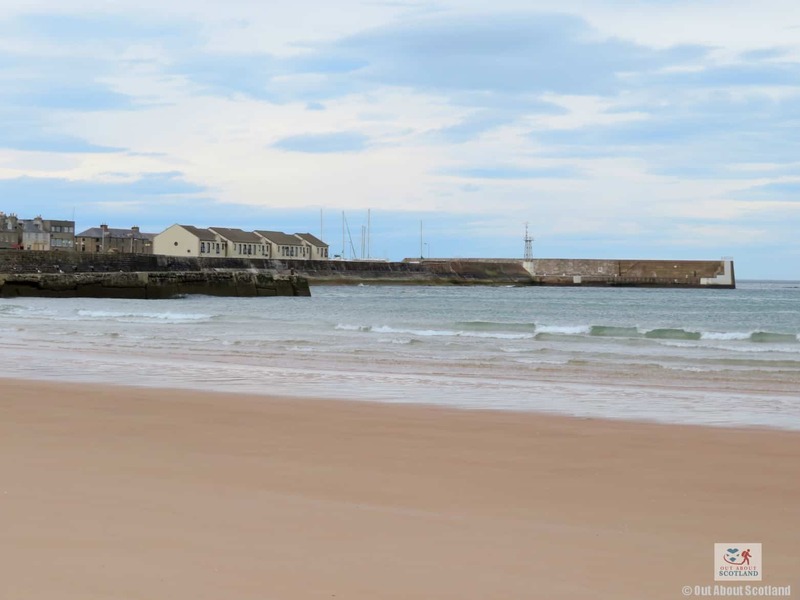 The small harbour at Lossiemouth is located here. 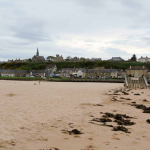 There are lovely views across to the surrounding hills as you walk along the beach. 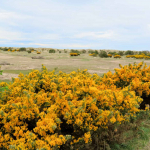 There's lots of gorse in the boundary between the beach and the salt flats. 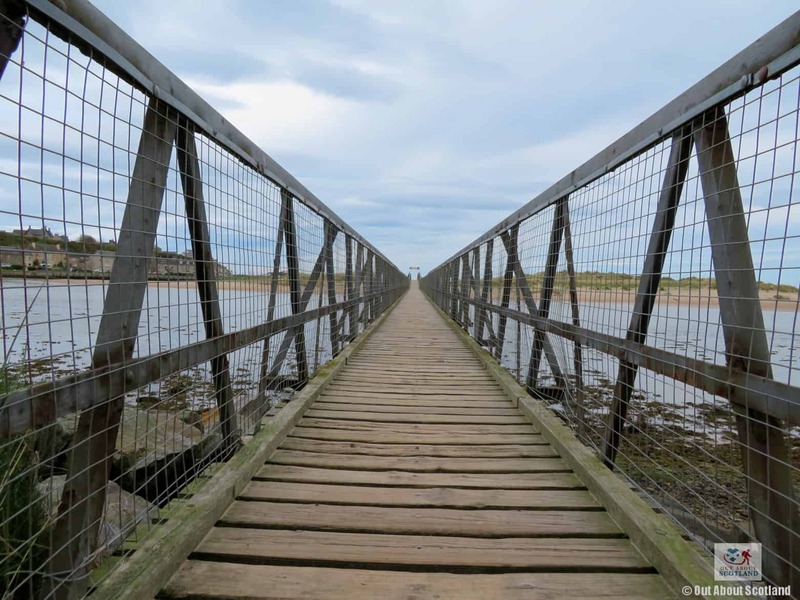 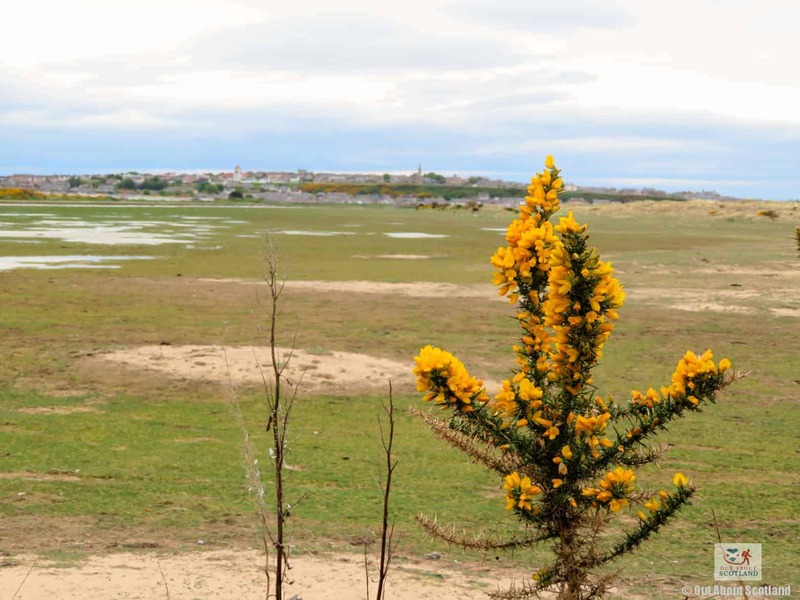 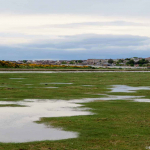 You can walk along the salt flats to get back to Lossiemouth village. 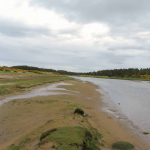 You can follow the River Lossie or head into the woodland as you walk east.